Just because you are a small church doesn't mean you can't do big things. While you may not have the resources large churches have, you can still use fundraisers to help raise money to support your various programs and projects. Rather than use traditional fundraising techniques, unique out-of-box fundraisers will help strengthen your church community and keep members engaged! Here are six unique fundraisers for small (or big!) churches. Sure you've heard of walk-a-thons - they're a nonprofit and school staple - but what about a work-a-thon? A work-a-thon is when workers and students collect pledges in exchange for hosting a large work-day. Here, participants will gather supplies and do work around the community. For example, they can do yard work or housework for elderly members or church repairs. It's a great fundraising tactic for small churches because donors know they are supporting the church and providing helpful services to community members. Parents - especially young ones - often avoid date nights or important events because they are unable to find a reliable babysitter. So, why not host a babysitting night? For this fundraiser, ask nursery workers or members (or teenagers) with childcare experience to volunteer several hours of their time. Have parents pay for their alone time sans worrying about finding a quality babysitter! Volunteers raise money for the church, parents get a date night, and the kids are able to play with their friends! Don't just limit it to regular babysitting - you can incorporate a movie or arts and crafts for the kids. Who doesn't love watching sports? Since people often pay to watch or attend a major sporting event, why not raise money for your church in the process? Make a night out of it by hosting a party and charging money for tickets. To keep costs low, limit ticket prices to a few dollars and ask members to bring their own snacks or drinks. Members will get to watch their favorite sporting event with some snacks and their favorite friends. You can even turn this event into a weekly or monthly party! Cook-offs are the ultimate small church fundraiser. Put a unique spin on it by hosting a themed cook-off. For example, while chili cook-offs are classic, why not host a BBQ cook-off, or one that highlights your local agriculture. For example, if your town is famous for blueberries, host a cook-off or baking contest where contestants have to use that ingredient in their recipe. To raise money, you can have contestants pay an "entry fee" and attendees can buy a ticket to attend the event and taste the recipes! To make it even more fun, give prizes to the first, second, and third place winners. Craft nights are great fundraisers because you have so many options! For example, you can host a painting class, knitting night, or even a pottery night. Reach out to local vendors to see if they would be willing to donate their time (or discount their normal flat rate fee) and charge guests to attend the event. Check out your local craft store or college to gather ideas for a craft night. Craft nights can be a bit more expensive than cook-offs or sporting events, so they are a great option for smaller groups such as choirs or ladies' groups. While Wednesday night is often reserved for church dinners, why not offer a special kind of dinner a different day of the week? Ticketed dinner events - such as potlucks, fish fries, or spaghetti dinners - are a great way to raise money for your small church. A ticketed dinner event allows families to have a night off of cooking and helps keeps members engaged in the church. Have members purchase tickets in advance to keep costs low. These are just a sample of unique fundraising events for small churches - the possibilities are endless! Do you have a favorite out-of-the-box fundraising idea? Let us know in the comments below. PS - With Continue to Give, you can keep track of all your fundraisers and fundraising ideas using our online giving and Church management tool. Learn more about Continue to Give here. 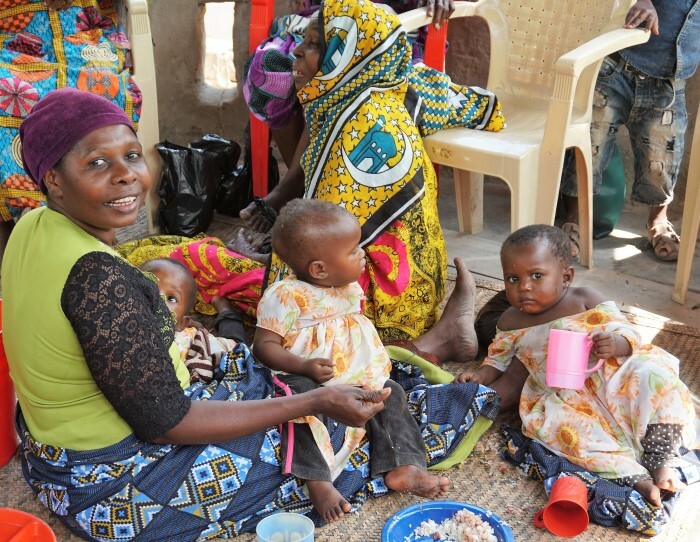 Today we want to highlight the great work Hope Through Jesus is doing in Tanzania. The mission of Hope Through Jesus, founded by Jesse Wellhoefer, is to bring Spiritual, Educational, and Financial Hope through the power of Jesus. Tell us about the program you are doing to reach your mission and positively change lives. Right now we are working on long term sustainable programs in Tanzania. More specifically, we are working within the local churches already established here. We are building them up so they can continue to better serve their community in a way that will make their church and people shine as the hands and feet of Christ. In Africa, it is easy to come in and "give" people things. That always makes the missionary and donors feel great! But, Hope Through Jesus is taking a long term approach and working with Pastors whose hearts are to serve the people. From there, we are doing a four-phased approach. Each phase includes building up the church and circling back to the first. We start with the first phase to test and work with people who have hearts to serve. The first phase weeds out those who just want money. Missionary Training: Here we help train long term missionaries to go out and spread the hope they have in Jesus within their communities as well as long term trips to non-local destinations. Pastor Training: Here we work to help educate Pastors on their role in the church and help them become better leaders that can better serve their church and community. Here we work to bring pastors of different denominations together so they can become friends learning and sharing together with one purpose. Our small loan program is governed by the church we work with. This allows people in the church to contribute to, govern and benefit from it. What is the biggest struggle within your mission? Sticking with work that will have long term, sustainable results when it seems easier to pass out food on the street (which tends to hurt cultures in the long term). Finding the right people to partner with when building up leaders or choosing who to help. What are some of the successes you have had that you would like to share? 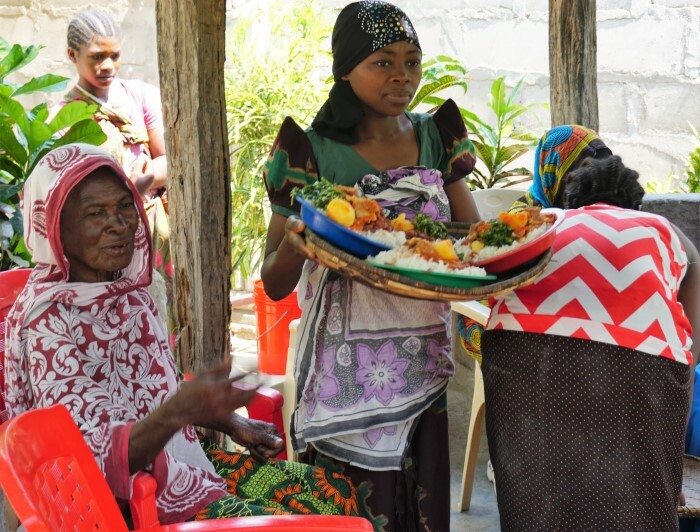 Our biggest successes have come from the Widow lunches and our small loan program. The widow program has been growing and brings a lot of hope to the local community as they see their elders being cared for by the church. This program is great and gives the widows a chance to meet together, learn about the Bible and the hope Jesus brings, meet new friends and get great food! 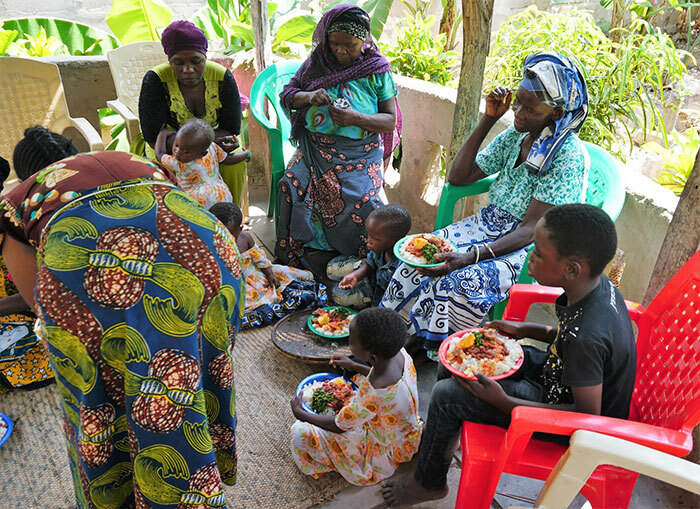 A recent success in our small loan program has been with Juma. Juma is a hard-working man who was renting a motorcycle to use as a taxi service in a small village. Even though he was working long hours, the rent on the motorcycle ate all his profits and he was still living in poverty. 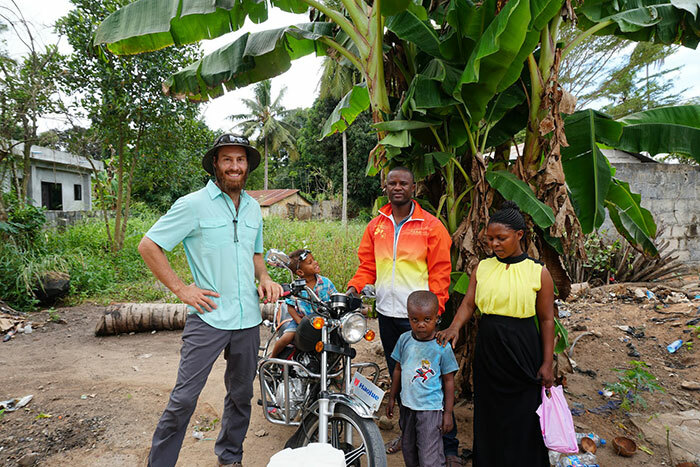 We were able to loan him the money to purchase his own motorcycle to break his cycle of poverty! 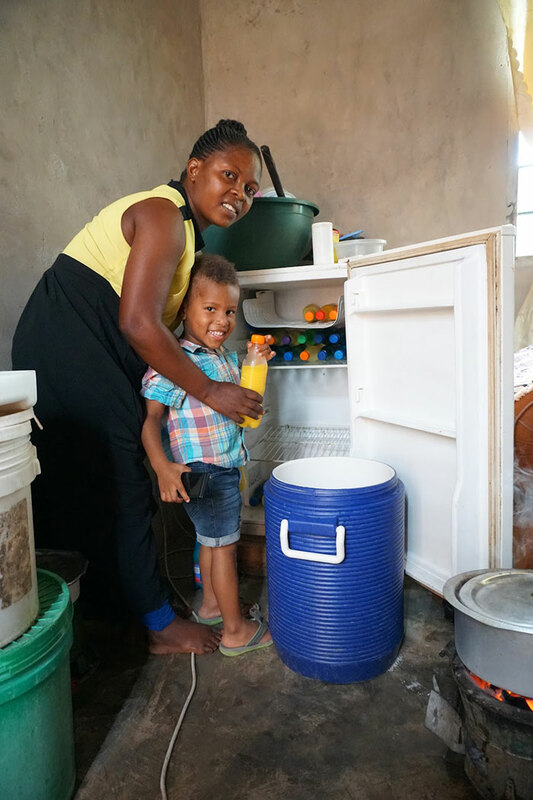 Shortly after that, Juma was able to buy his wife the supplies she needed to start her own juice business. She is now supplying a healthy, fresh made juice drink to people working in the village! What technologies do you use to help support your cause? We always need to make giving easy and keep our donors up to date. We use Continue To Give for our online fundraising needs. This has worked well as it makes giving easy, and allows our donors to manage their own recurring donations. We use Continue To Give's Donor Management System to keep our donors up to date via emails, texts, and print mail. Of course, we also use Facebook to post on a regular basis so our supporters can be reminded often in a non-intrusive way. We post a lot of great pictures which help people know they are part of something big when they donate online to our cause. Designers may tell you that church websites need the same features as other sites, but that's not the case. There is a big difference between the two and we're here to tell you why. We'll help you figure out everything you need to start your new church website - and gain new members to your congregation! A typical website is better known as a WYSIWYG setup. If you're not familiar with this acronym, it stands for; What You See Is What You Get. These are your basic websites that offer up to 5 pages (about us, contact, etc.) and provide you with choices for templates and other areas of the design. We consider these to be great choices for affiliate marketers, bloggers, or people that want to build a website for hobby purposes, but not for a church website. Why? Well, churches have to build a website that not only reflects itself, but also the congregation as a whole. A lot of times a simple web hosting design isn't going to cut it. If the completed project looks dull, not very compelling, or only worth a couple bucks; it will turn everyone off. Think about the type of impact it will have on your congregation. What if a member of your congregation tells someone to go to your website and they are extremely disappointed? This will not only reflect poorly for the church but also embarrass the person who promoted it. The majority of all the websites out there don't have this kind of stress on their hands. Church website designs need easy navigational elements. A user-friendly approach is the key to gaining more people interested in your congregation. A great example of this would be the Shepherds Land's website, Shepherd's Land makes building a website for churches and ministry very simple with easy access from any computer, any time and anywhere. In the good old days it was all about word of mouth. However, those days are long gone. If you can get your church website's design the way you want, it will play a major role in the growth of your church for years to come. The Internet provides easy access to any church, so don't be afraid to take advantage of it. Your congregation will need to easily access information on your site. These are all important things to consider, but you should already know the next step. Church website designs should be considered as a necessity. You have to find the right company to create and develop your website, these companies should be able to provide full packages from your domain name, web hosting and easy to use church builder plug-ins. A well structured and user-friendly website will provide a higher acceptance level amongst your congregation and anyone else that joins the church later down the road. Learning how to build a church website doesn't have to be complicated. 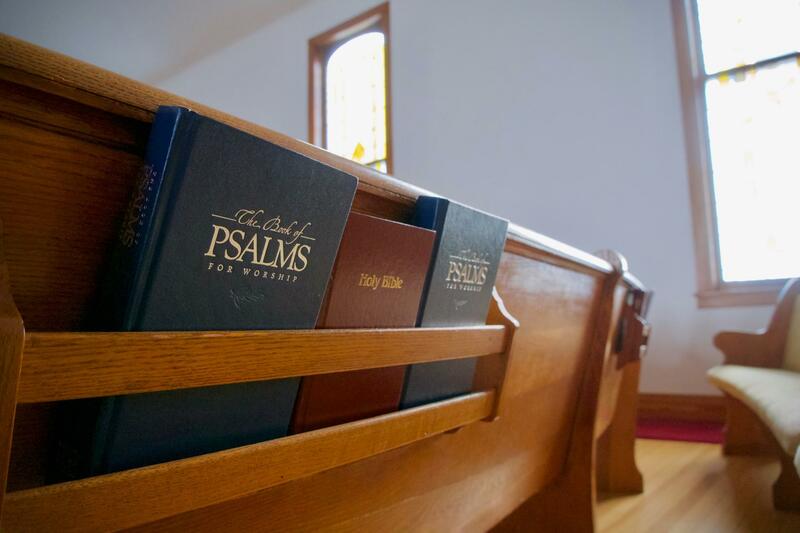 We also understand the importance of keeping your congregation informed via the Internet. A lot of churches are skeptical about taking this approach, because they're afraid it's going to be hard to learn. These days an all-in provider is all that is needed for people with no or little website design experience. Choosing the right company should be your first order of business. They need to have all the essentials available to make this as easy as possible. There are regular hosting companies like GoDaddy or HostGator, but the benefits won't be nearly as plentiful. This is especially true if you don't know where to begin. It is best to use a platform mainly focused on churches and ministries like shepherdsland.com. If you are not technology savvy finding a website building platform that makes it very easy in three steps is your best options. Every church has different factors they want to be included into their website. You should take the time to write this down. So, if you want to have text, images, audio files, videos, or anything else on the website, make sure you take it into account before making a decision and purchasing a package. Pages you can consider adding are sign-up forms and online donation areas to a bulk emailer and images of the church. These areas alone are hard to complete on your own, especially if you don't consider yourself "technically savvy". One of the most important pieces to building a website is learning how to promote it. In a world where newspapers and landline telephones are becoming obsolete, learning to market your church online is essential. One of the ways to do this is by using social media networking. It's possible you already started do this before you wanted to build a church website. The two most popular ways is by using Facebook and Twitter. Churches can build organization "fan" pages on Facebook, which allows your congregation to link to it through their own personal profile pages. This could create new followers and increase yearly revenue in a flash. Twitter allows followers to keep up to date with all your current events. This could be as simple as providing meaningful short scriptures and tweeting them to everyone. After all, most people love encouragement and this is the perfect way to provide it for them! One of the main goals of any church is to increase the number of regular members. In recent times however, church growth has been declining. There is an urgency to continue to grow the house of the Lord and a mandate from God to bring people to God. There are loads to resources: books, seminars on ways to increase your church members, with practical ways to grow or revive a dwindling church. As we know growing the church's membership does not equate to the success of a church, however it is important to see consistent increase in the church members. With lesser people going to church these days, it is imperative to apply some strategies to keep growing the house of God. Accessibility is very important in modern times, the need to have an online presence and actively engage people online. Every church must ensure they engage with people on different online platforms. The first rule of engagement is a solid and reliable well-designed church website. You can not reach a wide range of people without having a world wide web. It is an intricate part of online development and outreach. If your church does not have a website, you should consider creating one immediately. A formidable website builder is sitetackle.com which is targeted specifically for churches and ministries, with default site and pages already installed to help eliminate much of the normal processes for you. Within thirty minutes, you can have a basic website up and running. Technology enables churches to reach people outside of their local area, build and maintain relationships with others, connect on social media, create outstanding outreach campaigns and it opens up an unlimited potential in reaching people in the global space. It is important to be active in the community by contributing and creating uplifting events and also by helping people provide solutions to a need in that community, a good start will be creating a fundraising online campaign to help meet a need in the community. The bible tells us about community service in James 2 vs 14-17 "What good is it, my brothers, if someone says he has faith but does not have works? Can that faith save him? If a brother or sister is poorly clothed and lacking in daily food, and one of you says to them, "Go in peace, be warmed and filled," without giving them the things needed for the body, what good is that? So also faith by itself, if it does not have works, is dead. Creating and effective fundraising campaign can be done by using an award winning 2018 top rated church management software. Continuetogive.com can help churches and communities to kick start a rewarding fundraising campaign, with flexible platforms to fulfil online giving needs, your church can start a campaign with absolute ease and in minutes, raising funds for the community online is now so easy and convenient with Continue To Give. This level of commitment to the community will attract people to your church as you can show them the love of God through your actions and resourcefulness. Evangelism is about telling others about the gospel. Reaching out to people about the benefits and countless rewards of accepting Christ into their lives. Through human connection you can drive people to your church, but you can't do this alone, It Is important to train others specifically for evangelism and also train the current members of the church at large. Encourage members to talk about the gospel everywhere they go, whether it is at work, school etc. and bring new converts back into the church folds. There is also a holy mandate to evangelism. In Mark 16 vs 15 -16, the bible says, "And He said to them, "Go into all the world and preach the gospel to every creature. He who believes and is baptized will be saved; but he who does not believe will be condemned". Remember to make regular seminars about your members' responsibilities to preach the gospel. It also pays to have an active team of evangelizer who also go out regularly to minister and preach to people in the neighborhood and beyond. Sometimes as churches we find ourselves so focused on the next set of sermons, growing the church in number of attendees, growing the giving in the church, missions, connecting, etc that we forget the obligations of keeping our members safe both physically in body and electronically with sensitive information. It's important to remember that you have a collection of people that can be targeted by those who seek to do wrong. There are really two ways you should be looking out for your church. Number one is physically in body. There have been church shootings and it's important to learn ways to protect your congregation. Number two is protecting your congregation's sensitive information. Information is powerful and you don't want your church members' sensitive information to fall into wrong hands. We hope you can learn some ideas on how to accomplish a safe church below! It may seem obvious to most people to only let children leave with their parents. However, picking up kids from childrens church can be busy filled with parents rushing to pick up their kids to go to their next calendar item for the day, changed plans of parents designating someone else to grab their children, volunteers letting the children go and find their parents in the crowded church, etc. The best practices to keeping the children safe in the church is to have a child check-in system. Child Check In systems are great because they allow a parent or designated adult to check in the child and have a pick up sticker. There is no guessing involved for volunteers on whom is registered in the system as a safe adult the child can leave with. Check out Child Check-In as a Feature of Mission Pillars CRM and Church Management Systems. Remember how we teach and practice with our children the old familiar, 'Stop, Drop, and Roll'? The same rings true about natural disasters and shootings. Talk with your local law enforcements about having a good plan in place for a shooting or natural disaster. Create a one page step by step and train your main staff on the policy and procedure you have worked out with professionals. Have a form of communication that can be sent by text or email for cancellations of bad weather or other threats. Be prepared. It's important to keep doors locked during services. Have a designated trustworthy adult stand near the door to check for any late comers. Have the doors open before and slightly after the services start, but no during. It's important to let your congregation know if you start this new policy so they understand when they can freely enter without having to have someone open the door for them. It's important that your staff is trained on body language. This is a common practice with law enforcement. If you can learn how to tell if something is not right with a person that has entered your church you can be prepared. Don't assume that your members would never or could never create a disaster. You should be proactive. Maybe you can dedicate a sermon on depression or unhealthy thoughts. Maybe you can have references, pamphlets, etc where members can get the help they need when they are facing mental instability, depression, anger, etc. It's important to give your members tools, to guide them, and provide resources. There may be members in your church battling quietly within their minds. This is a great warning that you are prepared. This is also a great way for a designated adult to view late comers or potential threats that are coming up to the door. Now the above have been great examples of keeping your church physically safe, but what about keeping your church member's identity and information safe? Below, we have compiled a list of practices you should keep in place to keep your church member's information safe. This is very important because we are our virtual identity. Online giving for churches has grown which means information such as credit card numbers are being used at your church. Do you work we a secure online giving provider who is PCI compliant? Are the donation forms you are using PCI compliant? Online giving software for your church that is safe and secure is just as important as how easy the software is to use. Hackers are always looking for ways to steal unsuspecting individuals credit card numbers. Keep your donors safe by offering secure online giving for your church. Very important. Not everyone that has access to your CRM, internet, records, etc. should have that access. Don't leave passwords and logins out in the open and for general use. Change up passwords every couple weeks. When an admin leaves do not allow them access to your systems. Terminate old logins. We worked with a church that had given a missionary permission to use the churches bank account to deposit funds into. In so many words that missionary took that churches information and signed them up services which cost that church hundreds in fees and this was never an agreed upon process for the missionary. The missionary had two much access to information. It's important to make a mental note of who has access to what information and why do they have that access. Information is powerful and should be protected. Information can come in all sorts of ways such as emails, home address of church members, phone numbers, church banking, voided checks, etc. Being a church is such a great and rewarding job as you follow God's calling. No matter the size of your church you have a responsibility to keep your church safe and follow best practices. We hope the above tips have inspired you to take some steps in your church to keep your congregation safe! We have been listening to your online giving needs and that is why we created some ways you can have forms pre-filled with recurring donation schedules and prefilled amounts! Now when a donor clicks to donate to a monthly subscription it will be pre-set to the donation cycle of monthly and/or donation amount you would like. Go to your online giving options from your dashboard under "Display Your Badge". From there you can choose between the different donation button options to put on your website. Watch the video below to see the step by step. For the first option you choose you will add a "?" after the link and before your first pre-filled option. After that each option you add will start with a "&". If there is already a "?" in your URL start with the "&". So let's show you how a link could look. You will see the different sections of the link that make the link pre-set. So below we are choosing our "Link to New Page" onling giving badge. This link already has a "?" so we will start our first parameter with a "&". We will require the form to pre-set to recurring monthly, with 12 payment cycles (so one year of donation monthly), and set to an amount of 50. For HTML here are the different options you can add below to make the form pre-set. You will notice this new piece of code below has been added to the badges so go ahead and re-copy the code from your badge selection from your "Display your Badge!" in your dashboard. Then you can pre-fill the newest section that looks like the HTML code below. For this example, the badge would be pre-set to recurring monthly, no set number of cycles, a start date, and no pre-filled amount.